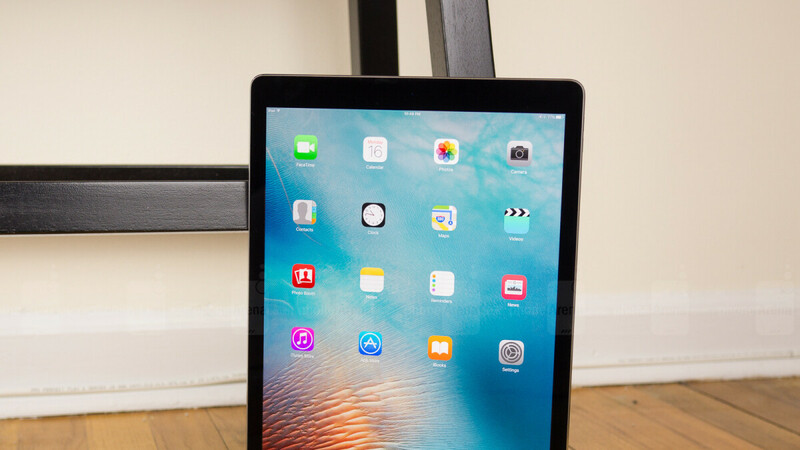 Apple's gargantuan iPad Pro 12.9 line is an interesting beast. When it first launched, we were all baffled. A huge tablet that's almost as big as a laptop and costs more than some of them? And it only runs iOS? Yeah, a niche product for sure. But then Apple launched iOS 11, which brought about a bunch of multi-window features, a Files app, and drag and drop, which made the tech world look at the iPads differently. They are still not a replacement for desktop PCs for sure, but owning a is cool, we can't deny. Quad speakers firing in stereo, powerful hardware, a massive amount of apps made specifically for the platform and screen size. Add an Apple Pencil for drawing and you'll keep an artist happy. But an iPad Pro is a costly investment. That's why we were happy to find this deal. A refurbished iPad Pro with a generous 128 GB of memory and a cellular modem for almost 50% off. Sure, it's the 2015 model, but that one still does rock 4 GB of RAM and it's powered by the Apple A9X processor, ticking at 2.26 GHz. It's still a powerhouse for sure! You can have a Grade A refurbished unit for $600 or a Grade B refurbished one for $550. For comparison, that's the usual going price for used (not refurbished) iPad Pros with Wi-Fi only. 2015 model? No thanks. The CPU won't be good enough for today's OS and the battery probably will be dead anytime if they didn't replace it. Lol? Apples CPU from 2014/2015 is faster than anything Snapdragon has put out in the last year. LOL? I am not comparing it with Android. The iOS updates killed it anyway. Yeah, iPhone 6 is twice quicker than SD835. And 6s is three times faster! Depends how it was used. I bought a used iPad air 2 and it's still pretty quick and battery lasts a long time. Plus take an additional $15% off with the coupon PSPRINGTIME (today only). The coupon applies to pretty anything on eBay over $25.